GOOD MORNING my sweet friends & welcome to another "Inspiration Wednesday!" For my card today, I was inspired by my new watercolors I had gotten a couple of weeks ago! I CAN'T BELIEVE it took me 2 weeks to use them!!! lol…. OMG…I LOVE them! The colors are BEAUTIFUL & I LOVE that there is a bronzy, gold & pearl color in this set! Okay, weren't all of these cards AWESOME from my team? Before I go, 2 good friends of mine are having surgery today. If you could all keep them in your thoughts & prayers, it would be greatly appreciate. Good Morning Miss Emma and hope your day is starting off in a grandeoso way!! I love your card golly gosh your water coloring turned out so beautiful. 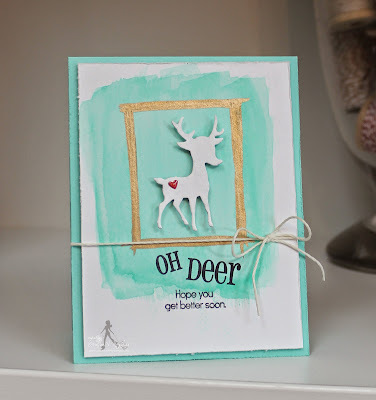 Love the frame you painted just the perfect finishing touch. 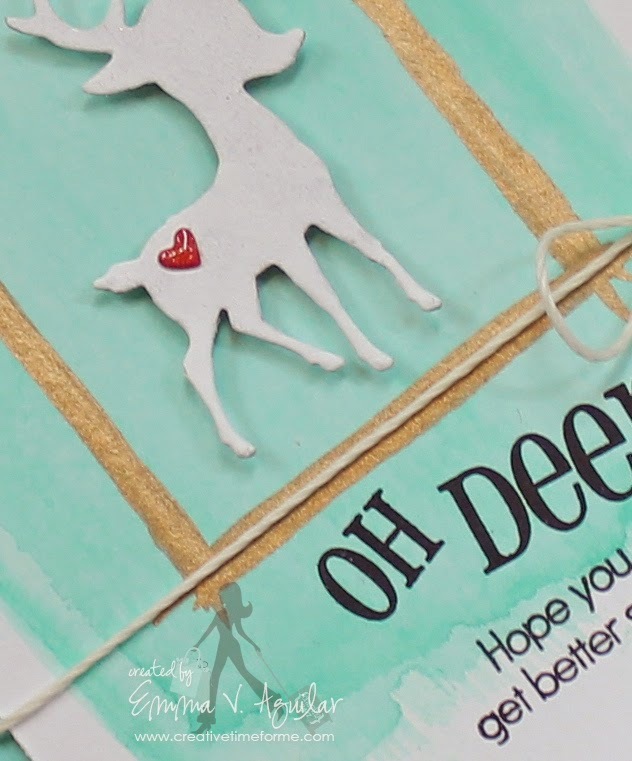 Your deer is so adorabs and with the little heart just as precious as can be. Hope you get your camera situation resolved.....it hasn't been that long that you've had it maybe just take it back with the receipt and exchange it for another one....after all it should come with a 1 yr warrantee and it definitely has a mfr. flaw. Have a gr8 Day!!! Such a gorgeous card Emma! LOVE the watercolor look!!!!! AWESOME job my sweet friend!!!! Beautiful Emma....love the water colour and gold! Miss Emma your friends are in my prayers. 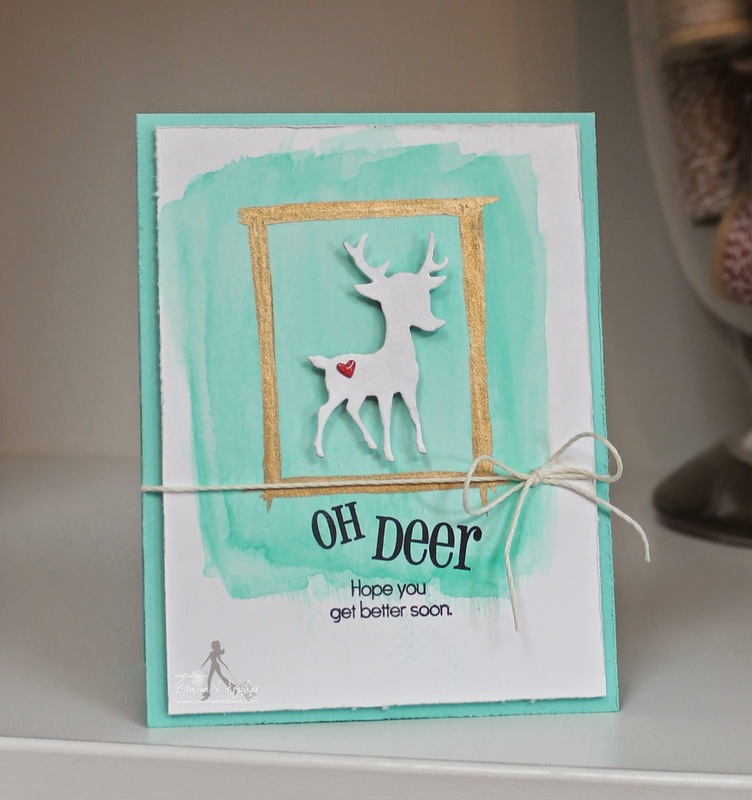 LOVE your BEAUTIFUL watercolor card. Thanks for sharing. Your card is gorgeous, Emma!!! Love that bronze paint! Awesome card! Great projects DT, you gals are amazing!!! Oh Deer! Such beautiful projects today...loved them all. Such a SWEET card Miss Emma!! Oh Emma ~ this is just ADORABLE and yet so BEAUTIFUL! 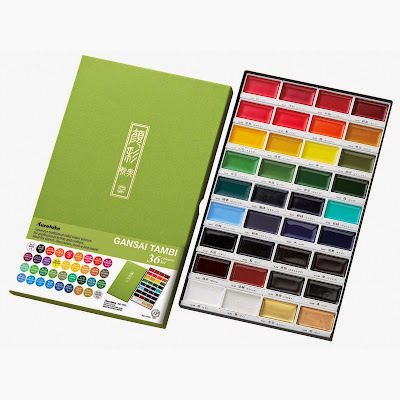 If I buy these watercolors ~ you are in big trouble! LOL!! LOVE everyone's creations!